This article covers the installation of Gestix on a new server, Ubuntu LTS 14.04 in this case, without any software installed on it but the core operating system. First we install the prerequisites, MySQL, Apache2, and Htmldoc. Gestix does not require PHP to be installed, yet PHP, as well as other languages, can be used to interact with the Gestix Corporate edition, to implement custom reports, collaboration portals, etc. In this example PHP is not required at all. Add some modules to Apache, but not too many. Enable mod_cgi to permit the execution of the gestix binaries instead of downloading them. The Apache module mod_env is also enabled here, in order to support setting environment variables from the Apache options or configuration files. Then, htmldoc, a open source solution for rendering the PDFs in Gestix. Finally, we install the Gestix tar ball (file type tar.gz). Using the tar ball instead of the Debian package allows to install Gestix on the default web, by extracting in the selected spot. In this case, we’ll create a subnet http://localhost/gestix so we create this gestix folder in the web folder, and get the contents of the package copied there. It will create the gnet folder with all gestix’s stuff in there. Is it working fine? Good. Otherwise, please post/comment about it here. We’ll help of course. More about Gestix at Gestix.com. 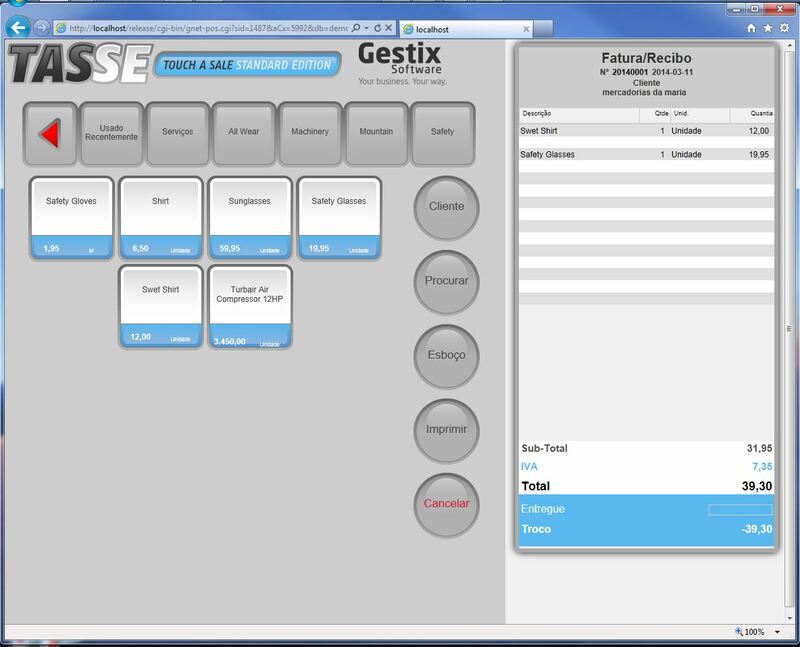 Checkout POS Software Everywhere: Gestix. That’s it. 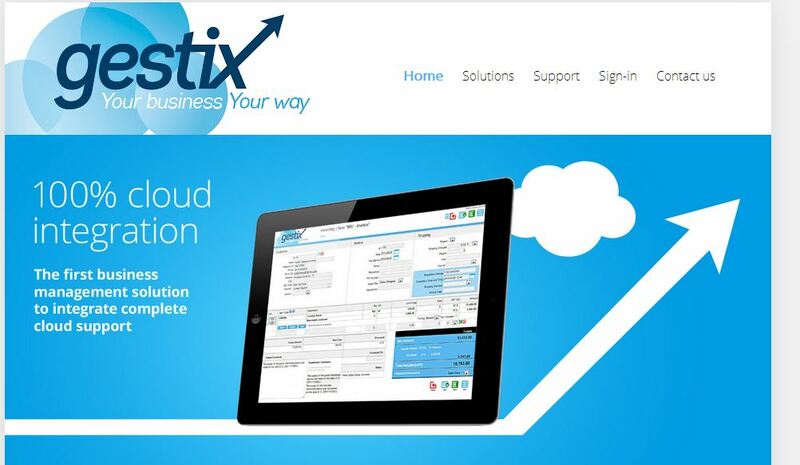 PS: I am in no away affiliated with Gestix or the company. I claim no special knowledge of the software. I can’t offer any warranty on the quality of the final installation, should you proceed as suggested. Proceed at your own risk. This how-to uses GESTIX .deb binary distribution. A tar.gz file is also available. If you can’t use .deb, (Fedora, RedHat, CentOS, etc) you can learn what to do from it. With a .deb parser (for example “mc” (midnight commander)), open the deb and checkout the PRE and POST install scripts. You will then know what you have to do. See below. # Gestix 5.0 (and previous) requires libmysqlclient16, which has been replaced by v18. Fill in all the data and proceed through the forms. Ignore all complains of a non-existent gnet_db database. Just click “continue” every time it shows. Configure your invoice template, logo, and all the rest. – To reconfigure template documents, one way to go about it is to duplicate the desired template into the “documents” folder. To know which one to pick, chose the most similar template to the one you want. Then print a document (via the browser, not via PDF). Check the URL , one of the fields will be …&prtsel=5&..
You can also use Firebug on the browser print preview pane. On chrome, cancel the print dialog, and “inspect element” on the items you want to change. Then, edit the html files. Refresh. Repeat until satisfied. – To have Gestix running on an encritped HTTP connection (ie HTTPS), which is highly suggested if you are running Gestix on the Internet, the PDF generator will not be able to reach your company logo on https. So, either keep at least a copy of that file reachable on the same URL, on http, or edit the desired .html template document and hardcode the logo url (http://SERVER/images/logo.png) for example, where you find the $doclogo variable.